We Buy Unwanted Toyota of All Years, Makes and Models! Call Today for a Quote! If for any reason you have a Toyota car or truck that has been written off and is lying on your property, it must be occupying space that you can utilize for something else. Your Toyota may be in good condition apart that it has a major transmission problem that cannot be fixed or is too expensive to repair. Getting rid of such a car is the best option. 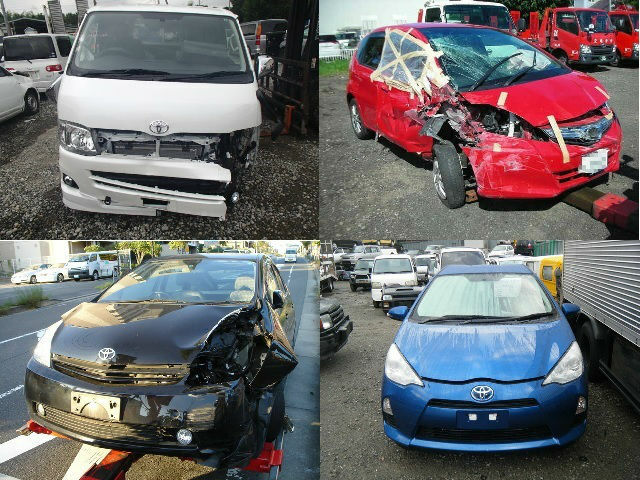 Toyota Wreckers Auckland NZ buy any Toyota automobile (Prius, Camry, Corolla, Hiace, Land Cruiser, Rav4…), running or not. If you need to sell a vehicle fast, we are the place to call 0800 70 70 99. We pride ourselves in getting our customers the most money possible when they need to sell a car without all of the hassle and aggravation that usually comes with selling a Toyota vehicle. As well as stocking brand-new parts suitable for Toyota and Lexus vehicles, our stock also ranges from 1998 to 2018 model Toyotas vehicles. Our range of spare parts includes engines and we carry up to a 6-month warranty, subject to purchase. We stock parts suitable for: Toyota cars and utes just to name a few. We provide high quality used parts for: Corolla, Echo, Paseo, Prius, Yaris, Aurion, Avalon, Avensis, Camry, Rav 4, Hilux, Kluger, Townace, Surf, Land Cruiser, FJ Cruiser, Tarago, MR2, Supra and many more! Toyota Wreckers Auckland NZ also offers various Toyota car parts on sale to help fix whatever is wrong! We service many areas, but we specifically focus on and are closer to Otara, Takapuna, car wreckers Papakura, South Auckland, Manurewa and much more! Visit Toyota Wreckers Auckland NZ Today! Come on down and visit Auckland cars wrecker, with great hours (even on Saturday!) You can come down and we can give you a hand picking out the rights parts in person. We have a huge inventory of new and used car parts for all major makes and models. With a qualified team of professionals, Toyota Wreckers Auckland NZ is the right place to go for anything Toyota! We also buy all cars, commercial vehicles and trucks, please click here for our Cash for Cars page that has further details. Are you looking for Auckland Cash for Cars? or New Zealand Cash for cars? This entry was posted in auto salvage and tagged aftermarket toyota parts nz, Toyota Car Parts, Toyota Corolla Parts Hamilton, toyota corolla parts nz, Toyota Dismantlers, Toyota Hiace Parts, Toyota Landcruiser Parts, toyota parts manukau, Toyota Parts NZ, toyota parts onehunga, toyota parts rosebank road, toyota parts takanini, toyota parts west auckland, Toyota Prado Parts, Toyota Spares Parts, Toyota Used Parts Hamilton, Toyota Wreckers, Toyota Wreckers Auckland corolla, Toyota Wreckers Auckland east, Toyota Wreckers Auckland NZ, Toyota Wreckers Auckland NZ camry, Toyota Wreckers Auckland NZ cash for cars, Toyota Wreckers Auckland NZ cheap parts, Toyota Wreckers Auckland NZ spare parts, Toyota Wreckers Auckland south, Toyota Wreckers Auckland west, Toyota Wreckers Auckland yaris, toyota wreckers north shore, Toyota Wreckers South Auckland on May 7, 2013 by Cars Wrecker. Since 2004, cars wreckers Auckland‘s #1 car buying service has been dedicated to paying you top dollar for all sorts of vehicles. It is the easiest and fastest way to sell your unwanted vehicle. Car Wreckers Auckland New Zealand will buy any year, make, or model. Registered, or not , even if it’s financed or leased.